I recently made two cards with my new Copic markers and Prismacolor colored pencils but did not take pictures. They quickly were given to recipients to thank them for thoughtful birthday gifts. I finally photographed a card made with some new supplies. I have added some Tim Holtz products to my collection and love that I can use them for more masculine cards. 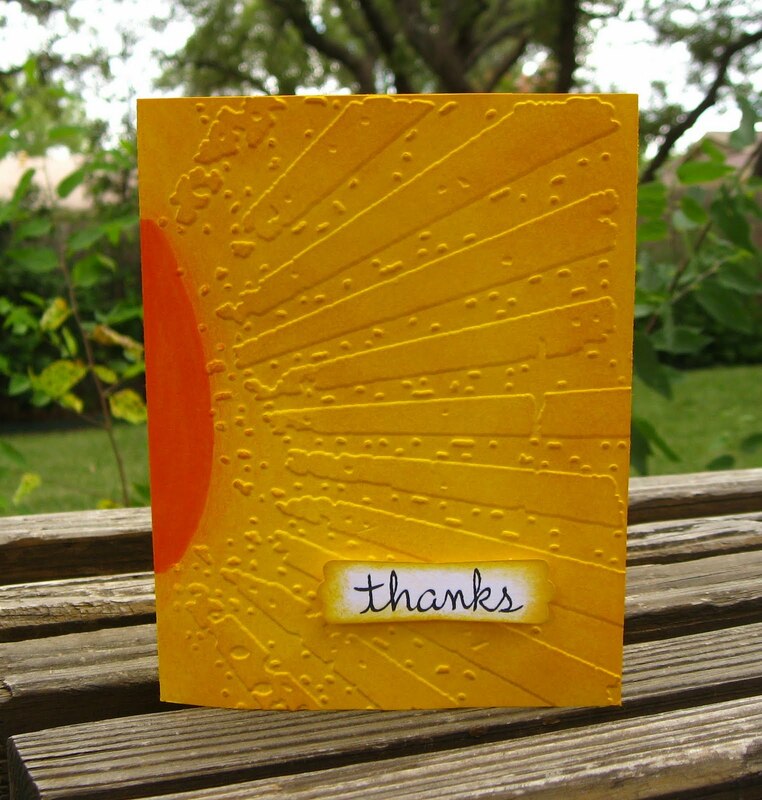 The sun ray embossing folder used below is quite a general use item. Punch: Modern Label from Stampin' Up! I DO like that embossing folder..you're right, it will be very useful!